56 km south of Savonlinna. Lake Saimaa/Pihlajavesi 20 m, shallow water, firm sand/gravel bottom. Own boat. 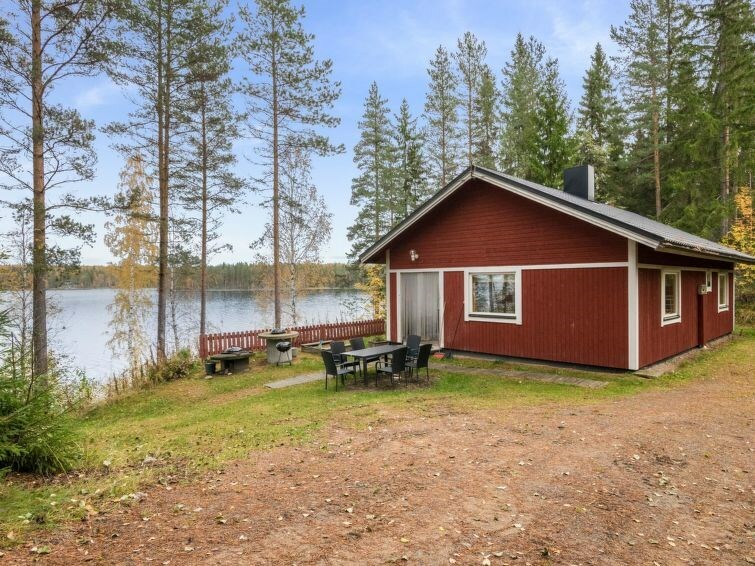 Log/wooden cabin 1998, living room/kitchen 1 extra bed, 2 bedroom with 2 beds in each, washroom, dressing room, sauna (elec. stove), foyer, glassed-in porch. 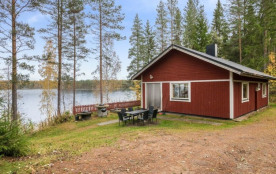 Lakeside sauna 10 sqm (heated by wood). A steep slope from cottage to shore.